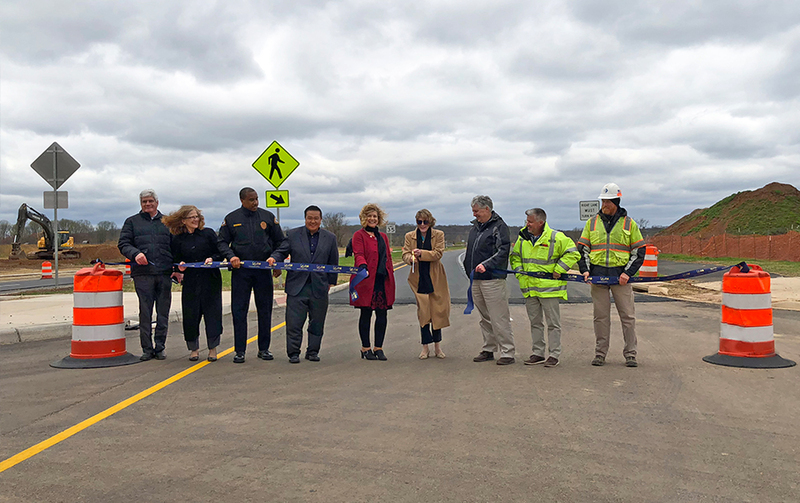 Tuesday, April 17, 2018: Alpha team members were honored to support the ribbon-cutting event for the final segment of Battlefield Parkway in Leesburg, Virginia, a project for which many Alpha team members have provided construction management and inspection services. Phased over the course of the last 30 years, this final segment of the parkway connected Evergreen Mill Road and South King Street. The completed parkway now provides access around the east side of Leesburg, from North King Street to South King Street.